I receive so many emails asking for basic queries related to turmeric. This is because most of the readers are new to it. Rather than answering them individually, I thought I should create a FAQ page to help them. Based on the queries I receive, I will keep updating the FAQ section with more entries. If you do not find your answer here, please message us ([email protected]) or comment below and we will try to answer asap. Turmeric is one of the species of genus Curcuma. Out of total thirty five species present, turmeric or halad (Curcuma longa ) is the most famous member of genus Curcuma. The species is native to tropical regions of South East Asia. It has been used for thousands of year in India as a spice and healing agent. It has an important role in ancient medicine system – Ayurveda. How much curcumin does turmeric has? The % of curcumin varies based on where the plant is grown and conditions. The % of curcumin in turmeric generally is in the range of 2% to 5%. But it can be even higher in some cases. What is turmeric composed of? Is curcumin same as turmeric? No. Curcumin is not same as turmeric. Curcumin is one of the key ingredients of turmeric, along with several others. It is most famous one though and responsible for most of its health benefits. The best way to take turmeric is make it part of your diet. It is also essential to include fats and black pepper in diet to ensure full turmeric benefits. If we talk about specific ways – Golden paste (recipe here) and turmeric milk (recipe here) are extremely popular ways to take turmeric. Does heating destroys turmeric benefits? Turmeric has been used as a spice in India for thousands of years. Most Indian curries require heating the spice along with other ingredients. But research says prolonged heating > 30 min destroys substantial % of curcumin. Heating for a short span of time would not have that effect. Thus, its best to add turmeric in the end if possible in your recipes. Why should I take black pepper or fats with turmeric? While turmeric is great for health, it suffers from a big drawback. It cannot be absorbed in body as such and thus most of it is lost. 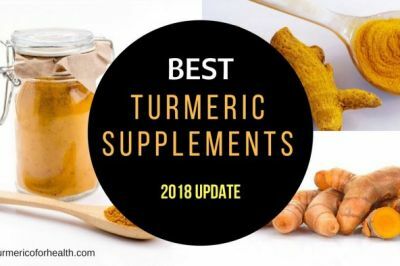 Both help in ensuring that turmeric actually benefits. The best way to take turmeric is to make it part of your diet. This way, you can have turmeric for lifetime and not worry about its side effects. Do ensure you take black pepper and fats alongside to aid its absoption. If you are new to turmeric it is best to start with a low dosage of ½ tsp per day. As time passes you can take 1-1.5 tsp on a daily basis. Note this is the quantity you can take for lifetime without any issues. But if you have some health problems, to counter that you can also take higher dosage for a short span of time. Turmeric supplements mainly consist of high % of curcumin. In most cases, the curcumin is extracted from turmeric and then added back to increase the % of curcumin in the final product. Most supplements are sold on the basis that curcumin is the only good thing in turmeric, but that is not the case. Be cautious while buying them. Which is better for health – turmeric or curcumin? While curcumin is the most important health promoting ingredient of turmeric but it is not the only one. Thus, in most cases taking good quality turmeric is better than just taking curcumin. 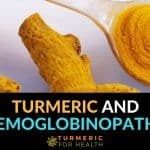 What Precautions should I take while turmeric? Turmeric as a spice is considered extremely safe. 1-1.5 tsp of turmeric a day is considered very safe. Certain conditions may be worsened by turmeric – lower BP and kidney stones. Another big issue is use of supplements. Supplements have high % of curcumin and an overdose can cause side effects. What are typical side effects of turmeric? While taking high dosage of turmeric does have side effects. They are generally not serious. Some of the possible ones are – nausea, upset stomach, heartburn, headache, etc. It can also lower blood sugar and can worsen condition of people prone to bleeding and kidney stones. Prolonged use of high supplement dosages can cause more severe issues though. Can I take turmeric during pregnancy and while breastfeeding? Mothers in countries such as India take turmeric as part of their diet throughout their pregnancy and breastfeeding. Should I stop turmeric after I get well? Absolutely no. Turmeric is a health promoter and you reap its real benefits when you take it everyday. It is not like medication which you need to stop. Infact taking turmeric daily will prevent you from various disorders by boosting immunity. I have a surgery planned, should I stop turmeric, when? While many people say a few days. I would be more conservative and go by the book here – 2 weeks. Turmeric as a spice in limited amounts can be taken safely. But turmeric supplements of large dosage should be avoided by people with gallstones and kidney stones. Turmeric supplements can worsen the situation. Supplements can increase risk of kidney stone development in susceptible individuals. Can I take turmeric if I have diabetes? Turmeric is known to help in diabetes in several ways. It is also known to help prevent it. Turmeric as a spice is very safe and millions of people take it. So in general the answer is yes. 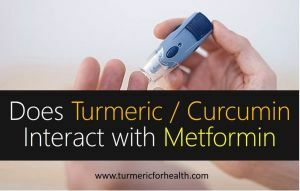 (see turmeric benefits in diabetes). But a word of caution – turmeric is known to decrease blood glucose levels. Hence it should be avoided with diabetic medications which treat hyperglycemia, as together they can lower glucose levels drastically. It is advised not to take turmeric along with blood thinners as turmeric is known to interact with them. I have been suffering from peripheral neuropathy from past 6 years.. I wanted to know wat turmeric brand should i take in golden paste..
Hi. You could use the same turmeric powder that you use in daily cooking. 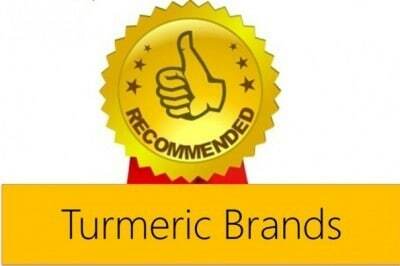 Or you could check the brands we have selected here: http://www.turmericforhealth.com Moreover we would recommend Golden paste made from fresh turmeric. Some of our family is taking turmeric in the golden paste form for different issues. 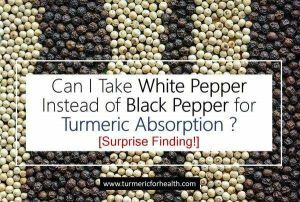 I was told that it would be better to use piperine or Bioperine instead of plain pepper for better absorption. 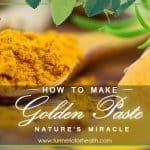 Can anybody suggest what would be the ideal turmeric to peperine ratio or the measurement for the golden paste recipe shown on this site. Piperine is an active component of black pepper so there is no need to replace freshly ground black pepper since it already contains piperine. Bioperine is a patented form of piperine that is used in supplements. In supplements, the ratio of curcumin to Bioperine is 100:1. Thank you for all the information on this site. I take the probiotic kefir every day as well as turmeric and have often wondered if the turmeric will harm the kefir. Adding turmeric to kefir is absolutely safe. Hi there. My mum has blood cancer and her blood is too thick. We are keen to try a curcumin supplement but with SO many formulations, can you advise which is the best for tackling cancer cells/effects etc? Thank you! It is best to opt for standardized 95% curcumin with bioperine supplements. Please consult a doctor before taking curcumin supplements for cancer. Are there any studies for Pediatric Brain Cancer, Medulloblastoma? Can it be taken with other Cancer Drugs? What is the dosage for a 4 yr old? Where can it be purchased? Hi. We have not seen any clinical trials on curcumin and pediatric brain cancer. 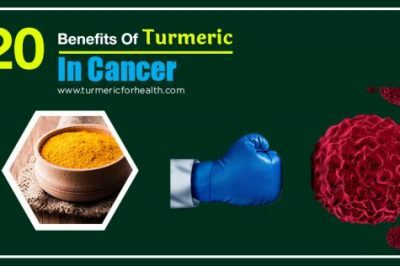 Curcumin is an anti-cancer agent and can benefit as an add-on therapy but this therapy has to be closely monitored by the health practitioners to avoid drug interactions. But this dosage is for adults and not for children. Please consult the doctor about using turmeric therapeutically for pediatric brain cancer. WHAT WILL YOU RECOMEND FOR CUTENEOUS T-CELL LYMPHOMA. OR KNOWN AS MYCOSIS FUNGIODES. FOR EARLY STAGES. Please confirm with your doctor before initiating therapy. This is all so exciting – I am going to try it for my osteoporosis and osteo-arthritis. Is it safe to take it with Ranitidine which is successfully controlling severe acid reflux resulting from diverticulosis. Please let me know if we have to peel off the skin on the turmeric finger immediately after boiling i.e. before drying . I have just been told that if you have oestrogen fed breast cancer then you should not take turmeric supplements as it stops the oestrogen blocking medication from working. is there any truth in this? Can tumeric/ curcumin capsules be opened and sprinkled over food, or must they be swallowed whole? Hi. They should be swallowed whole but if you are experiencing discomfort about taking the capsules what you could do is mix the capsule content with 1 tsp Golden paste just before taking it. Is it beneficial to use fresh frozen turmeric root in slow juicing (masticator type) with other vegetables/fruit/ginger etc? If so, per half litre of fresh squeezed juice, how much/many pieces or weight of fresh frozen root is recommended? I wish to drink carrot juice in large quantities to combat early stage skin cancer. Don’t want to go down the pharmaceutical route. My idea is that if I combine drinking “x-amount ?”of fresh turmeric juice with 64 fluid ounces per day of fresh squeezed carrot juice, in conjunction with maintaining a high alkaline forming diet, and apply turmeric (paste?) to as of yet relatively small tumour on the shin, then I’m going to kill the cancer! I’m 63 and otherwise in good health. Hi. The dose of 1 g in the protocol is applicable to curcumin supplement and not turmeric spice. Turmeric can be included in diet daily at a dose of 1/2 -1 tsp. I have made the Golden paste, but now it seems to be too dry, can I add water or coconut oil to it now, or should i make a new batch. Hi Cathie. You can add coconut oil to it to improve the consistency. If it is way too dry you can add water and cook it again. Might you know if Curcumin can cause a change in urine odor? I know it can change the color, but haven’t found an answer the the odor issue. Thank you. Hi. It is quite unlikely that curcumin should cause any change in urine odor. We have not come across any evidence regarding it. If it is a significant issue, please cut down on curcumin dosage and see if it improves. There are prescribed medicines which should not be used with turmeric. It is difficult to find out which medicines. Good day! I just wanted to know how long should i be consuming turmeric or cayenne pepper tea (for inflammation and heart health) before it really absorb and have its effect in my body? I’m having mine for a year now, every night before bedtime. A thumbsize of turmeric root, thumbsize of ginger, half tsp of black pepper sometimes substitute cayenne pepper boil them in 2 cups of water. So that’s my dosage daily. I wanted to know does my inflammation and my heart are benefiting from it now? Hi. The tea and the and the amount you are taking is appropriate. Theoretically it should reduce the inflammation and benefit your heart health. Have you experienced any benefit as of yet? Have you personally experienced a reduction in systemic inflammation such as pain, malaise etc. You may need to consult your doctor and conduct necessary tests to get a definitive answer as to whether turmeric is benefiting you. But we do feel that these combination of spices must have benefited your health. I read your information about taking Turmeric for ankle and knee arthritis. Do you have information about diminishing bone spurs and hip arthritis? Correct me if I am wrong but I believe addressing the bone spur will eliminate some of the pain. Additionally, I’m wondering if you have information on how to increase the cartilage, even if bone on bone is shown on x-rays. Thank you. Hi. 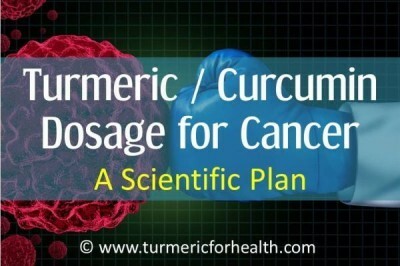 Curcumin and turmeric are potential anti-arthritic agents. They address inflammation, pain, bone health in arthritis and even prevent disease progression. About curcumin’s action on bone health, in simple terms it preserves bone health. If you were to analyze the studies in depth, one would understand this effect is dose dependent but that does not particularly apply to us or to the oral dose we take. In this study it was found that curcumin inhibits formation of bone spurs and prevents bone erosion as well. This is promising but more studies are required to confirm this. 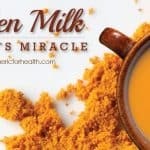 About increasing cartilage, we do not have definitive answers but Turmeric Milk can help. Apart from that dietary modifications such as increased calcium and mineral intake, glucosamine, chondroitin sulphate and fish oil/omega 3 supplements but one needs to confirm their safety with a health practitioner (to avoid drug interactions). Yes, it is absolutely safe to take turmeric in diet even after gall bladder removal. Please start with small amounts and increase gradually. It would help if you consistently provided dosage advice in both g/mg AND teaspoons. To use g or mg in one sentence and then teaspoons in the next leaves the reader bewildered, without the slightest idea of the difference! 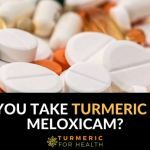 There is no exact dose in mg/g or tsp when it comes to dietary turmeric, but based on research and reader reviews we have suggested dosage guidelines where one could expect benefits. When it comes to Golden Paste, some do fine on smaller doses while some need more. I have a bad case of oral lichen planus and cannot eat any solid food. I’d like to try turmeric but don’t know if I should use it topically or take it orally. Which way would provide the most immediate help? I’m in a lot of pain! Hi. We would suggest taking turmeric orally. You can take Golden Paste. Start with small doses such as 1/4-1/2 tsp and if you see no side effects then increase the dose gradually to 1 tsp 2-3 times a day over a few weeks. Best taken with food to avoid acid reflux. Avoid taking it at the same time when you take meds. If its possible, you can make a paste of turmeric powder and coconut oil and apply it topically to the affected patch 2-3 times a day. This may help in fast relief. I saw this on the internet. Can a person who is diabetic and suffers from Arthritis and has terrible pain and swelling of the feet and legs take this mixture. From the other comments can she take this with warm milk or does it have to be boiled before taking it. Hi. The mix that you have mentioned seems fine. Turmeric and cinnamon can help in diabetes. Turmeric, ginger and cayenne can help alleviate pain. You can skip cayenne for it is difficult comment how it would go with milk. 1-2 teaspoons of this mix should be boiled in milk prior to taking it for better absorption. Avoid taking on an empty stomach. Hello! I apologize if this has been asked, my gums are a bit swollen not really painful, I’ve also had a molar extracted in the past 3 weeks. I have turmeric in pill supplement form, is it safe to take if so what dosage do you suggest and how soon can I see results, thank you! Turmeric is great for pain relief. Before taking supplements it is best to consult a health practitioner, so that they can assist with dosage. Topical application of turmeric powder with coconut/olive/clove oil 2-3 times a day to the gums significantly relieves toothache. Hi. The effect depends on how much you are taking. We suggest you start by 1/4 tsp a day and gradually increase by 1/4 tsp every week if you observe no side effects. Do this till you reach a dose of 1-2 tsp 2-3 times a day or how it suits you. You should give it 1-2 weeks time to observe any difference and 1 month would be maximum. Benefits could also be visible in the form of reduced pain, better mood, clearer thinking and better sleep. Yes it should help in relieving the hot flushes because it will help attenuate hormonal imbalances. 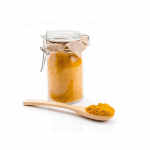 We recommend golden paste because it is safer and has much more than curcumin to it. If you are planning on taking supplements then you could consult a doctor about it and when you are 70-80% better you can switch to Golden Paste. You can take these capsules after a meal so that the fat content of your meal will take care of the absorption. When making turmeric capsules you can skip the oil. I but the turmeric root and I’m trying to figure out how to measure 1.3g – 3g. Approximately 2 cm of the root should weigh that much. I have Emphysema and just finished 14 days of prednisone. I felt great while on the steroid, however two days after finishing the script, breathing was hard and the cough returned. I had LVRS in June, right side only and will have the left side done in May 2017. 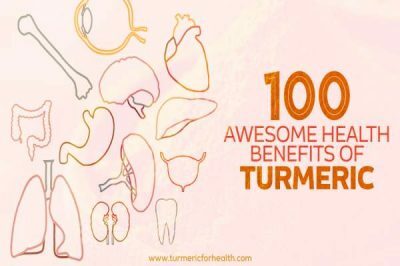 I am anxious to start tumeric after reading but I am wondering how long it will take to get results once I start the tumeric. Can I expect to feel as good while on the tumeric as I did while taking the prednisone. Looking forward to your response. 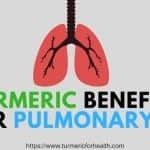 Does anyone else use tumeric to lesson emphysema and COPD symptons? 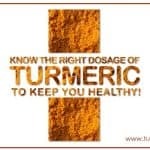 Its true that the time of action of turmeric differs from person to person and on dosage and quality of turmeric. Quite a bit of research shows that turmeric has potential in treatment of COPD. You can take Golden Paste. Start with small doses of 1/2 teaspoon and increase gradually to 1-2 tsp 2-3 times a day or how it suits you. Avoid taking this during the same time when you take meds and it is preferably taken with meals..avoid taking Golden paste on empty stomach if you are prone to acid reflux. Curcumin also has cholesterol lowering properties. No drug interactions have been reported with such drugs but it is advisable to take them with meals and possibly not at the same time that you take other meds. 1000mg is a high dose. Is that recommended by the doctor or based on manufacturer’s directions? It is best to consult a herbalist or a health practitioner about it. somebody mentioned green turmeric is better. how do i get that in canada? I have just harvested my own from the garden, Does it still have the same benefits if it is not bright orange, as mine is pale yellow. I planted organic tumeric so I know it is tumeric. Yes the benefits would be the same. The color differs based on the curcuminoid contents and the color ranges from yellow to orange. However just check if you have grown Curcuma longa species. CO2 extraction or supercritical extraction is a fairly optimised way of extracting turmeric oils. We do not manufacture or recommend any turmeric supplements. I read tumeric can cause ankle swelling in 1% of people and of course I am in that one %. Should I continue to take it? Is there any risks or will the swelling get better with time? 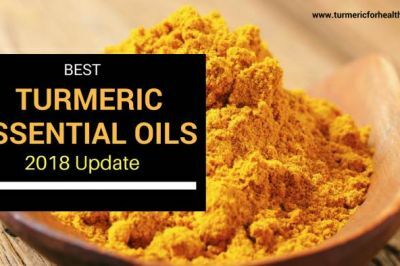 We have not come across any information of turmeric causing ankle swelling. Are you taking supplements or dietary form? In any case if you are observing such a side effect please discontinue use of turmeric. For someone allergic to black pepper, is there a replacement with the same results as black pepper? You could simply mix turmeric powder with a healthy fat say olive or coconut oil. This will take care of the absorption and deliver same results. As far as dosage per day… If making the paste, do you use .5-1.5 tsp of that as your daily dose and add it to whatever your like is, such as tea? Abby, yes the dose is 1/2 to 1 tsp of the batch of the paste. You can include the same amount in your tea or any other preparation. I hope that is what you were asking. Grams in tsp differs from material to material but roughly 4-5g. Care should be exercised when taking curcumin (or any other Cytochrome P450 inhibitors, of which the most common is grapefruit). Cytochrome P450 is one of the most important clearance mechanism the body uses to rid itself (or metabolize) most drugs that are prescribed and if you block this, it would be the same as you taking an overdose. Remember the ban on St. Johns Wort in the 90’s – the deaths attributed were due to the CYP inhibition, not the St John’s Wort itself. Doctors “practice” and if you unquestioningly let them they can, through ignorance “practice” you to death(or until you are too broke or sick to go back). If you truly are interested in your health, LEARN to take care of yourself. If you are advised to stay away from grapefruit then turmeric or curcumin should be avoided or be very observant of ANY changes to your body functions. I first ran into this when getting rid of a blood clot in my calf after knee surgery. The Dr. just told me I had to stay on coumadin the rest of my life. When I asked about the swelling in my calf and foot, he just said that I would be this way the rest of my life. I dosed myself with turmeric @ 1 Tablespoon twice a day in hot whole milk with 1/2 tsp fresh ground pepper. On my third dose of coumadin the CYP inhibition caused my clotting factor to completely disappear and the Dr had to give a Vit K shot to bring it back. My blood clot cleared up along with the swelling by this time. A followup sonogram showed the clot to be gone. I then knew to use freeze dried organic kale powder to keep the Vit K levels up and within a day or so no longer needed the shots. Cytochrome P450 (CYP) inhibitors include THC, CBD, Nuvigil(or any of this family), Cetirizine HCl or Zyrtec, grapefruit (aka the grapefruit effect). Come on, learn for yourself- google it! Dietary turmeric would not cause any drug interactions. In case of supplements their use is contraindicated with certain antidepressants. I have been told Turmeric and Black Pepper is also good for High Cholesterol . Is that right. ? I take 500mg Turmeric and 50g of Black Pepper together in 1 tablet. They recommend taking 3 per day. 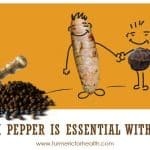 Yes turmeric and black pepper combination is great for reducing cholesterol and improving metabolic health. I make my own 500 mg capsules of several things and I am wondering how much black pepper or probably preferably quercetin I should mix in the capsules with the Tumeric powder ? 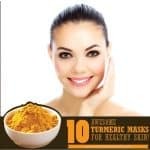 Hi, how often do I need to use the turmeric mask to get the best results for my face. Once a week should be fine. What to do if a drop gets into your eye? Can you take disprin if taking golden paste? I heard a comment that you should not. Turmeric in diet is absolutely safe with other medications but the black pepper in golden paste may cause drug interactions and hence should not be taken close to the time when you take meds. Aspirin can have a blood thinning effect and turmeric has also been found to cause blood thinning. So the combination is not advised. However you would need high concentrations of curcumin for that effect. So turmeric supplements should be avoided when taking aspirin and not dietary turmeric. Thank you very much for taking so much time and effort to post and keep this site up. It seems like a lot of work and is of great value to the world community. 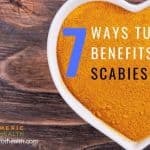 I would like to suggest adding a section to this site regarding success stories in taking turmeric. Is the healing benefits of Golden Paste effected by freezing? No freezing will not affect health benefits of Golden Paste. I am very new to this, I have Acid reflex issue for last 20yr’s, I take Nexum 2 times a day, is it safe for to take Turmeric, and if so how much can I take? Turmeric taken in diet will help in reducing acidity. Low dose of turmeric with acid reducing medications is found to be really beneficial. You can consume Golden Paste. Start with 1/4 tsp and increase to 1-2 tsp 2-3 times a day or how it suits you. Take it with meals to avoid chances of reflux and avoid taking it close to other medications. Any info on mixing turmeric with peanut butter(high fat content) to enhance bioavailablity? Yes the fat content of peanut butter should help in absorption of turmeric as per theory. Will tumeric help for Urticaria. We haven’t come across any evidence on this but you can make a paste of turmeric and olive/coconut oil and apply to the affected region. Conduct a patch test prior. Turmeric is beneficial in depression and anxiety. What is the simple test to check the purity of store bought turmeric? Hello, I have a horse who will be treated for a tear in the meniscus with stem cells shortly. He has recently had a cortisone injection, and I was advised to wait for the stem cell treatment, as the cortisone slows the healing process. Would turmeric have the same effect, and should I wait to start him on turmeric until after the stem cells have done their job. Hi Kelly, we are sorry, we have not started researching on horses and how turmeric can help them. But we do plan to in future. If you have liked our page or joined our newsletter you will get an update. Great fact sheet! Question: I have a friend who recently had her gall bladder removed. Is Turmeric OK for her to take? Evidently she can’t have oil, so she needs to take it in another method than the Golden Paste, I assume. Hi, yes it is fine to take turmeric in this case.